The Liberty 1-1/4 in. 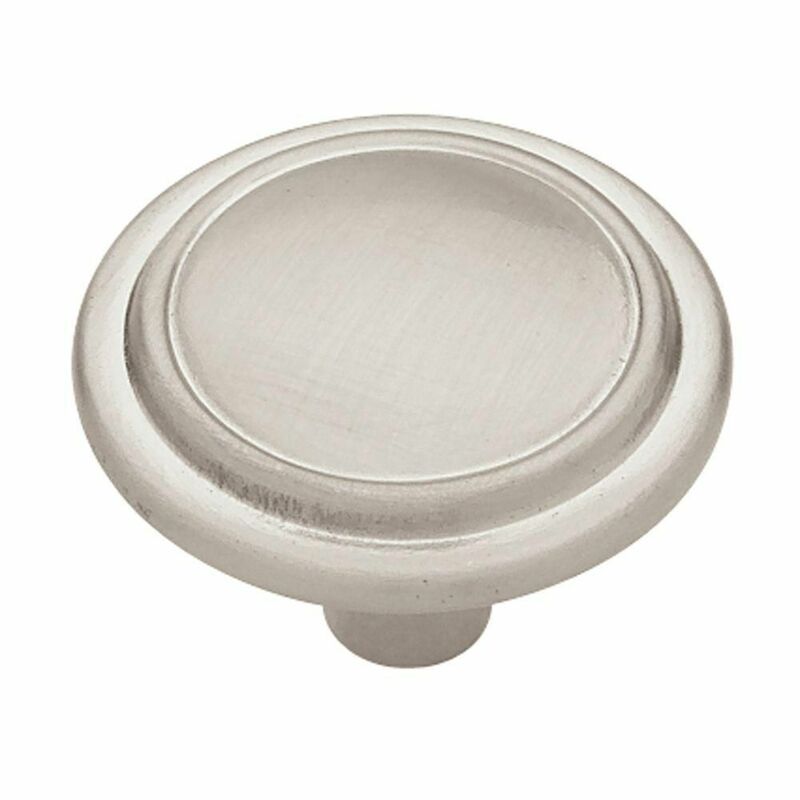 Satin Nickel Top Ring Round Knob adds a clean finish to the cabinetry in your home. A simple change can change the look and feel of any room. The knob is easy to install and comes with a 1 in. fastener that fits standard 3/4 in. draw. Inspired by simple elegance, the domed knob by Liberty offers great style at exceptional value. The classic shape complements a wide variety of décor styles, from casual to modern. Ideal for both kitchens and bathrooms. 1-1/4 Top Ring Round Knob, 1 per package The Liberty 1-1/4 in. Satin Nickel Top Ring Round Knob adds a clean finish to the cabinetry in your home. A simple change can change the look and feel of any room. The knob is easy to install and comes with a 1 in. fastener that fits standard 3/4 in. draw. 1-1/4 Top Ring Round Knob, 1 per package is rated 4.7 out of 5 by 30. Rated 5 out of 5 by Swannie from Sturdy and economical! Bought these knobs to replace the existing set on a bedroom furniture set. They are modern, sturdy and look good when installed. Definitely a good buy for the money. Rated 5 out of 5 by Gloria from I’m very happy with the knobs. ... I’m very happy with the knobs. Rated 5 out of 5 by Guy from Simple and inexpensive way to improve kitchen, btw they match... Simple and inexpensive way to improve kitchen, btw they match sink and appliances. Very satisfied!!! Rated 5 out of 5 by Kerrie from Beautiful and polished looking. Comes with screws which was helpful.... Beautiful and polished looking. Comes with screws which was helpful.